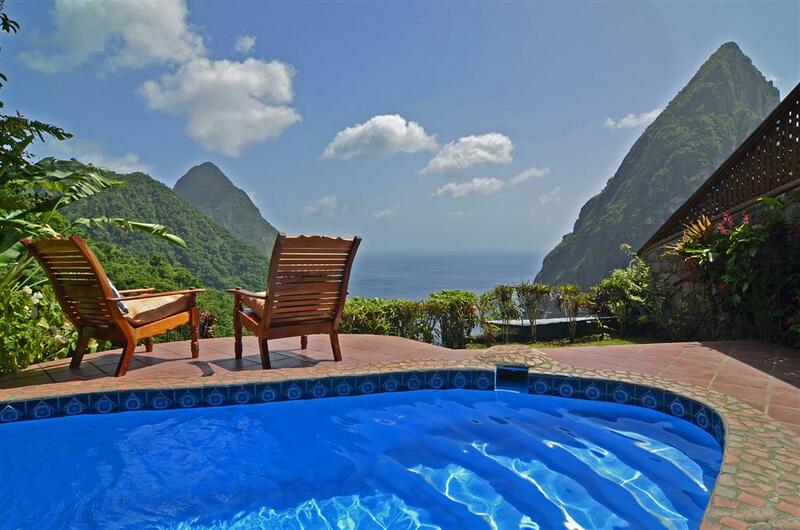 Perched above the port town of Soufriere, located on the Southern end of St. Lucia, Ladera is a romantic and exclusive hideaway. The resort is set on a forested ridge, 1,100 feet above the sea overlooking the World Famous Volcanic Piton Mountains and the Caribbean Sea. 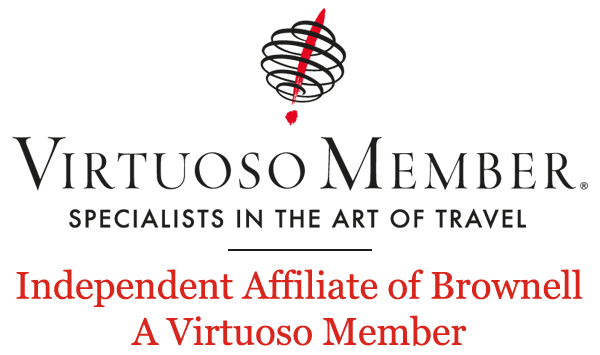 The mission is to offer an unparalleled guest experience that is quintessentially Saint Lucian, one that embraces the magnificent views and offers harmony with the surrounding natural beauty and bounty of the island. Each of Ladera's 32 suites was intentionally built without the fourth wall to allow the astounding views of the two volcanic peaks and the azure coastline below. The open wall leads to a private pool and panoramic views, surrounded by lush tropical landscaping. The decor is distinctive with naturally-aesthetic, locally-woven textiles and custom-crafted wooden furniture. Ladera, which celebrated its 20th anniversary in 2012, received the highest awards and accolades as the Best Hotel in the Caribbean from the most discriminating leaders in travel, including Conde Nast Traveler, Travel+Leisure, Forbes Life and Caribbean Life and Travel magazine. Paradise Ridge is Ladera's most recent expansion and is a private and secluded enclave offering the most lavish and spacious accommodations, complete with butler service. The new Villa at Paradise Ridge takes the concept of the resort's most popular suites to an even loftier level. 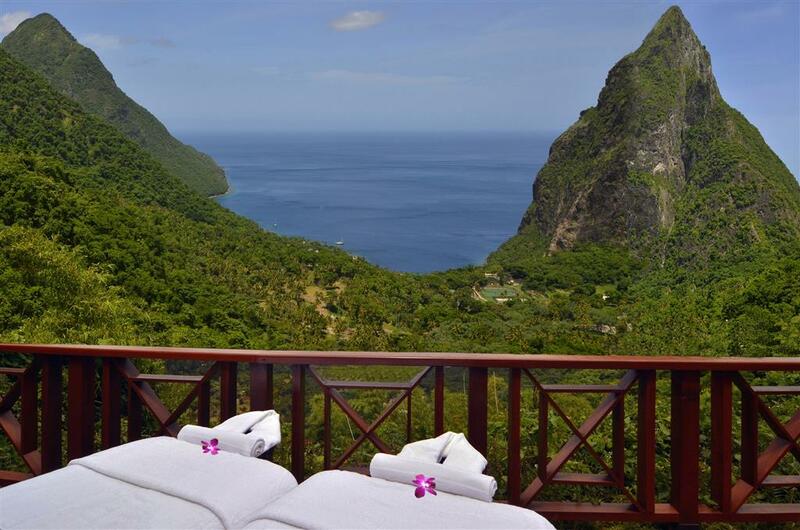 With 1900 square feet of space, the lavish villa is the largest one-bedroom accommodation directly facing the world-famous Pitons, on a high vantage point on St. Lucia. All of the new units are constructed of tropical hardwoods, Soufriere stone and house-cut tile and features the authentic local craftsmanship well known to Ladera. Ladera's Dasheene Restaurant serves an eclectic, stylish interpretation of St. Lucian cuisine and offers a menu that is fresh, local and inventive. 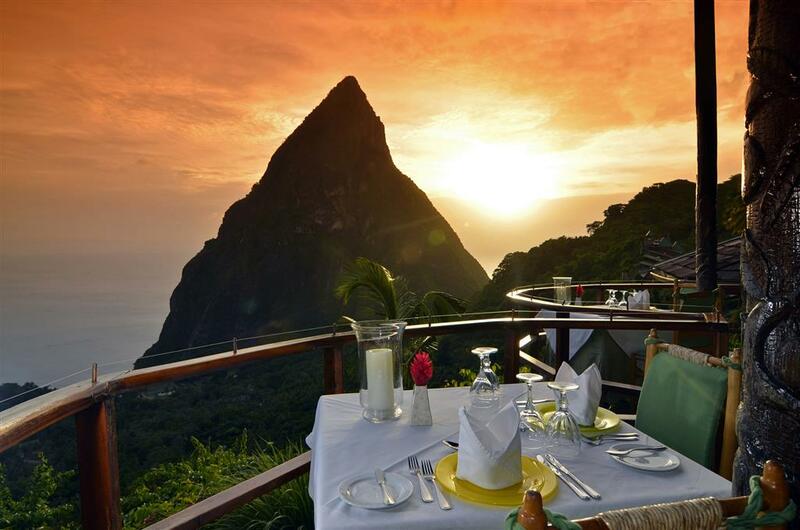 The open air dining room features breathtaking vistas of the rainforest, the dramatic Pitons and the Caribbean Sea below. The Spa at Ladera provides guests with an array of relaxing, wellness treatments inspired by St. Lucia's rich volcanic history. Guests may enjoy treatments in The Spa, outdoors or in the privacy of their own suite or villa.